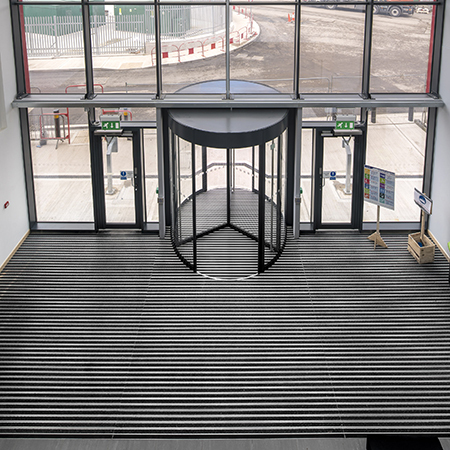 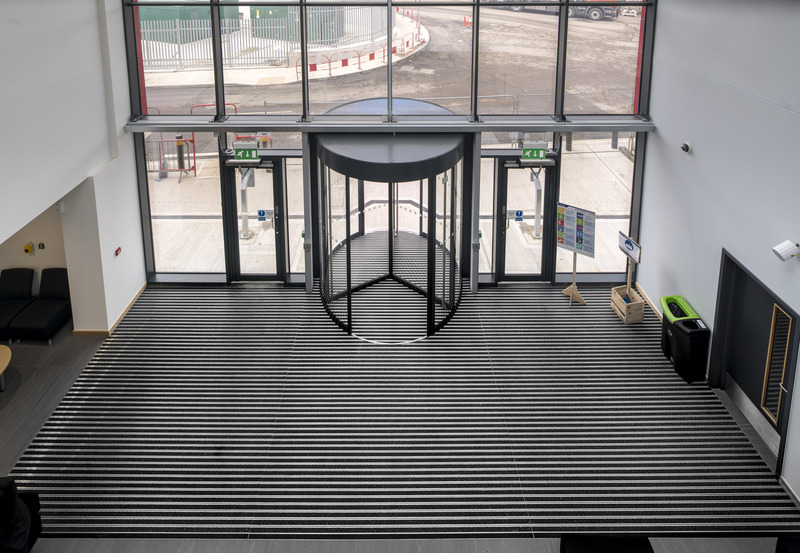 Gradus’ carpet tiles and barrier matting were specified to provide a hardwearing and aesthetic flooring solution for the offices of the new train depot at Old Oak Common for the Elizabeth line in London. 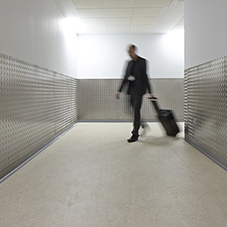 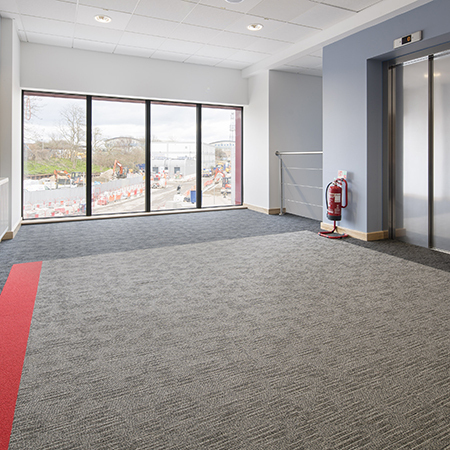 Cityscene carpet tiles were chosen in complementary Basalt and Granite shades. 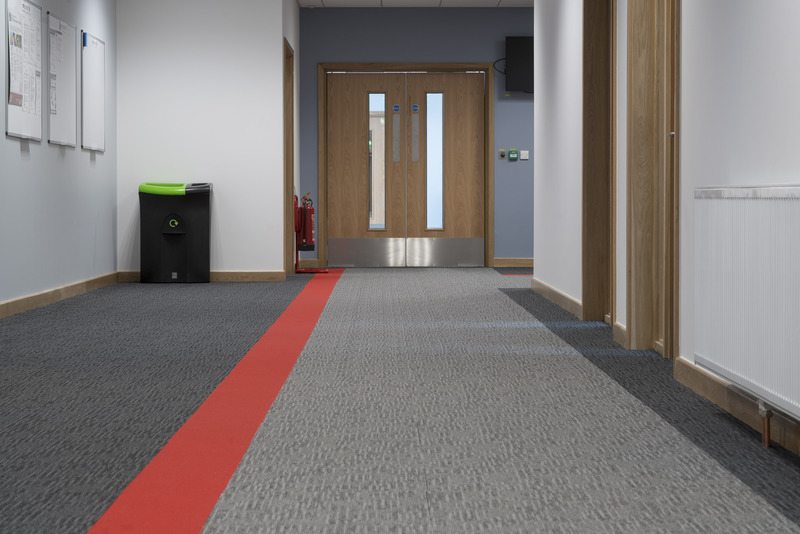 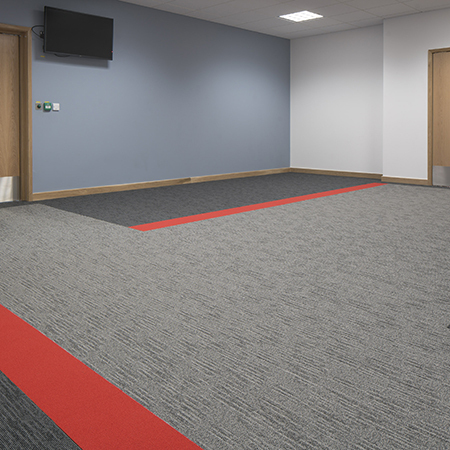 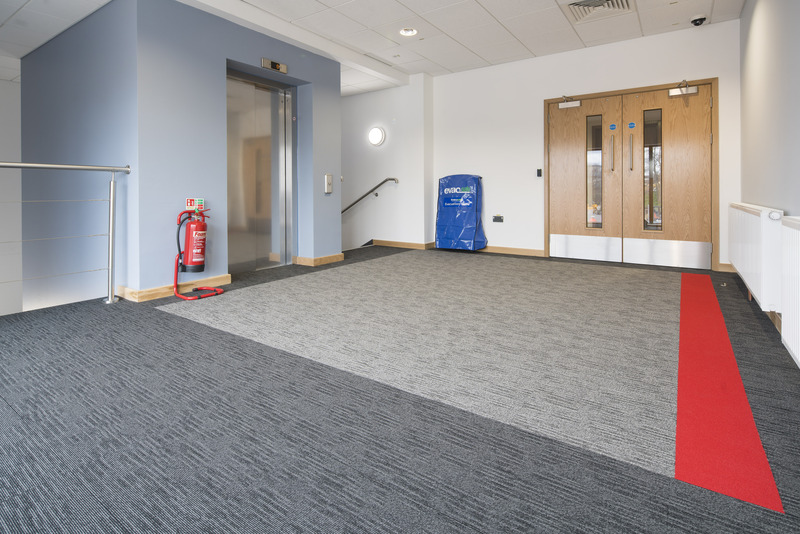 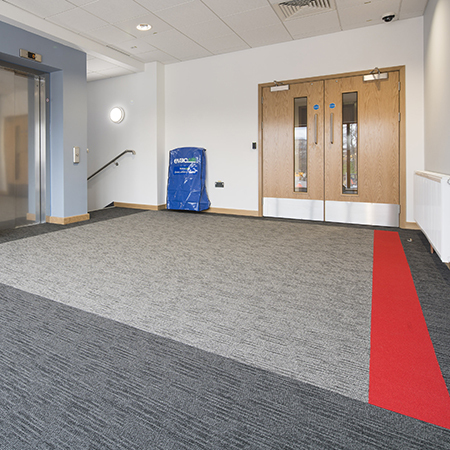 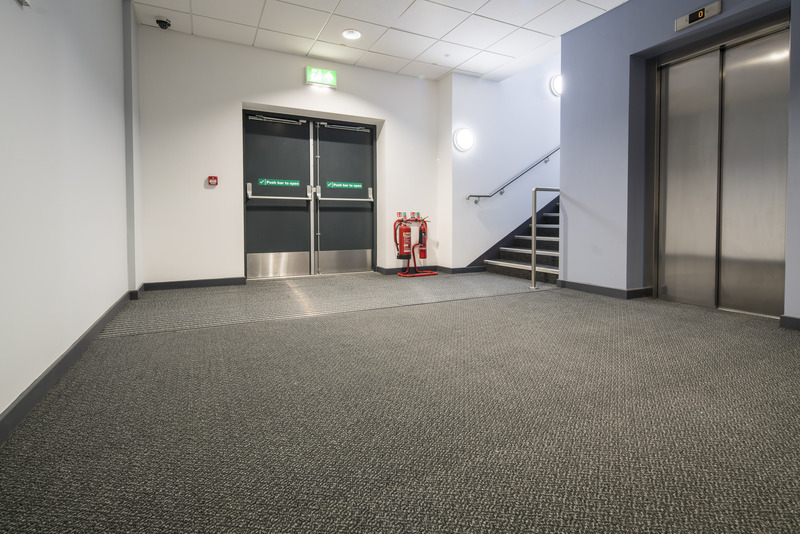 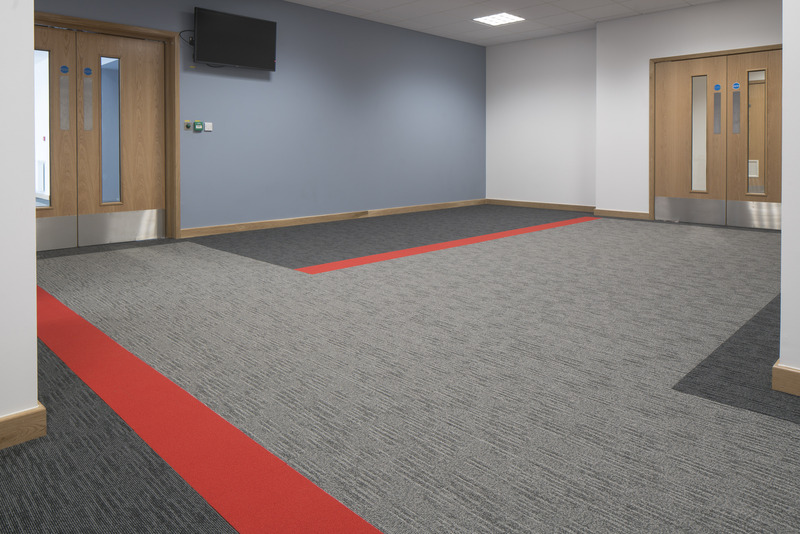 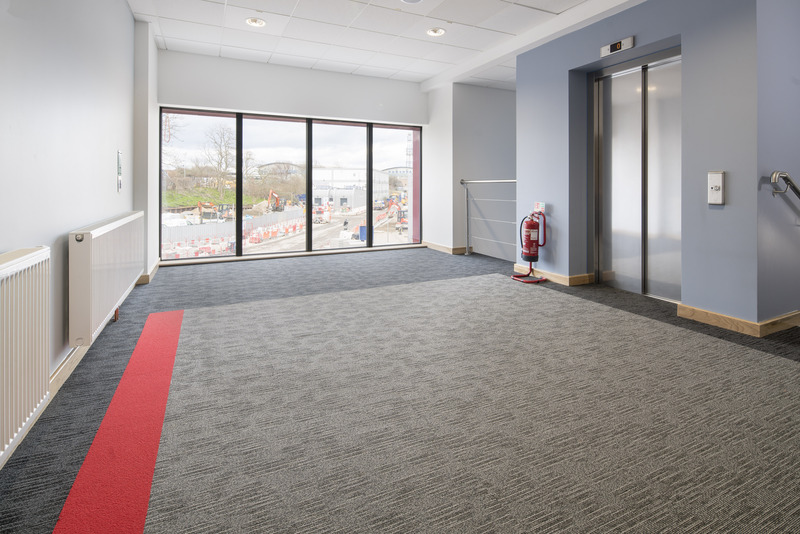 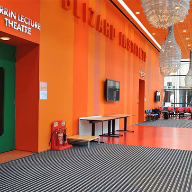 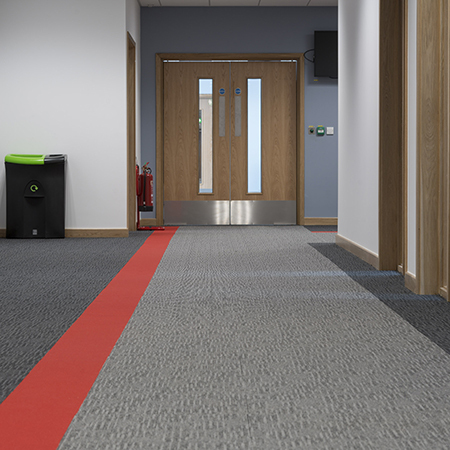 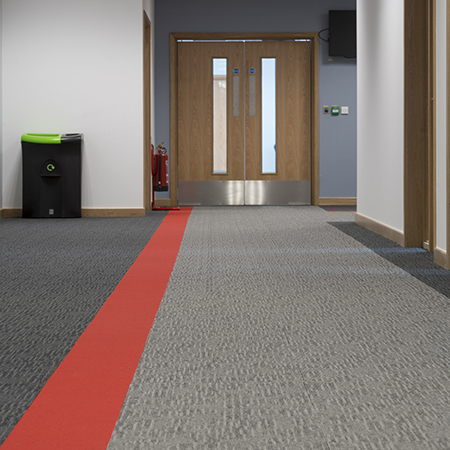 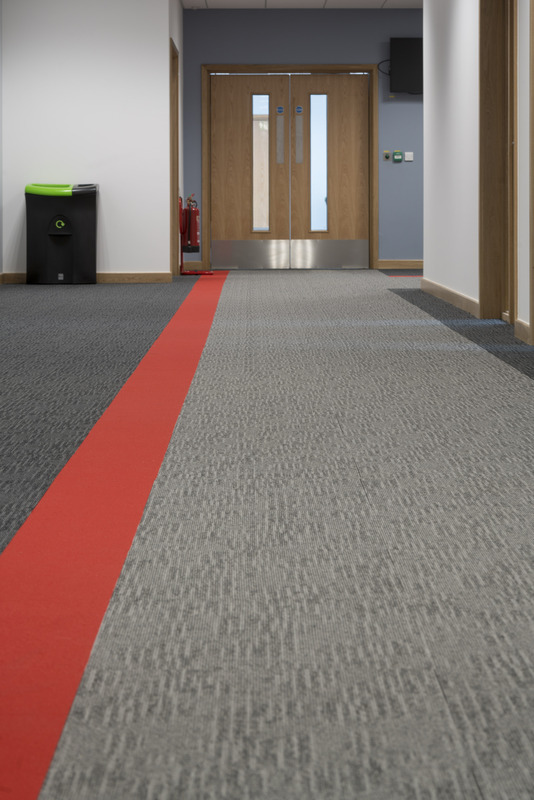 The Emphasis carpet tiles in a contrasting red colour create a bold and interesting pattern, whilst also helping people to navigate the corridors. 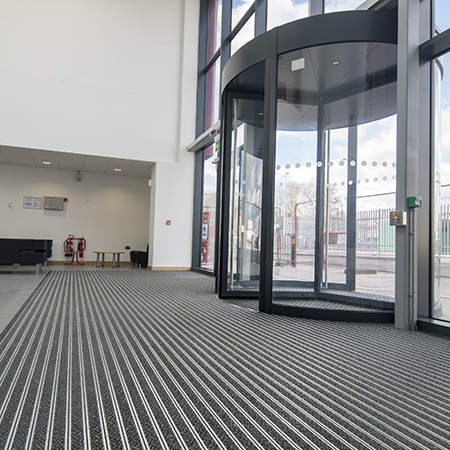 Esplanade 6000 primary barrier matting and Boulevard 6000 secondary matting were installed throughout the entrance areas. 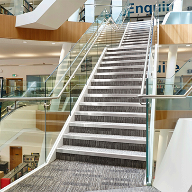 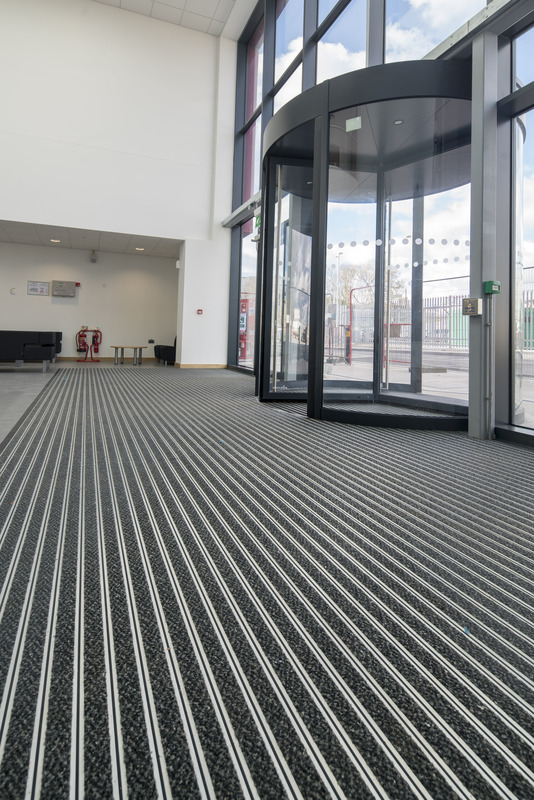 The matting increases public safety by decreasing the amount of moisture and soil tracked in, helping to minimise slip accidents. 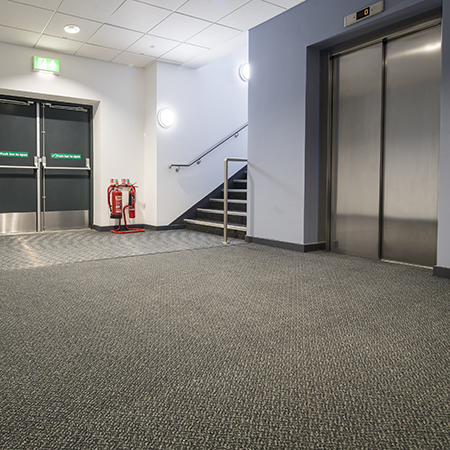 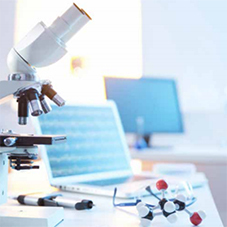 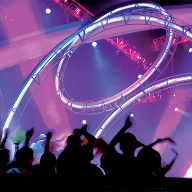 It will also prolong the appearance of the surrounding floor coverings and reduce cleaning and maintenance costs.